There are some basic things to ask yourself first,then we’ll get to the most common reason for small or no weightloss on certain days or periods of days when you’re really doing everything right (which I’ll just give you a tidbit now: It’s actually totally normal and all a part of the process). If so your dose may be off and from what I’ve seen, this can affect weight loss. See my post on finding the best dose of hCG for you. 2. Are you cheating on the diet? This probably seems like a silly question to ask, but I DO get questions from people asking about little weight loss and I come to find out they have been cheating frequently with little morsels here and there. On other diets that may not be an issue. (no judgment here tho k!) Read on…. One thing I must make clear about the diet plan- you will EASILY lose nothing or even GAIN weight on the scale from VERY small cheats on the diet (and if that doesn’t tell you that this hormone isn’t a placebo I don’t know what does!) This is not to say you must never go over the 500 calorie limit, because many of us do at least on occasion- but the idea is to eat to hunger and make sure not to consume fats/oils- if you are eating past hunger on the VLCD on occasions or including fats and oils, weight loss can easily be affected. Don’t ask me how but it’s like the hormone somehow takes a simple banana and turns it into a half pound gain on the scale- would you normally gain half a pound from eating a banana? Of course not! That’s so silly. And yet on hCG, the combo of calories and how they interact with our body is totally different than regular life. I wish I could give you the scientific reason for why this is, but I honestly have no idea- I just know it does from the results that are often seen from cheating. So don’t underestimate the bad results that can be experienced from cheating on the diet. I’m not saying exercising is bad on the weight loss protocol at all. I do believe however that some will be able to do so successfully…and some won’t. You’ll need to figure out which body you have in this regard. Check out my detailed info on Exercise and the hCG Diet here. Good indicators that exercise on hCG is not for you? Feeling very fatigued/weak/tired on the protocol, needing to eat too much more, and having intense food cravings. If you are not in good health due to adrenal fatigue or thyroid issues, this may be you. Coming from a background of chronic illnesses, while I’m much healthier now than I was, my autoimmune conditions are still there in my body, just on a lower level. When I have tried to exercise on the protocol in my 4th round (which for me was going to Crossfit 2x’s my first week of VLCD), I had pronounced fatigue and tiredness that lead to pronounced food cravings, which obviously food cravings and 500 calories does NOT mix well. Additionally that was the only round that my weightloss stopped dead most of that first week, which is very abnormal usually. I have to expand on that a bit though because weight loss being slow due to exercise doesn’t necessarily mean you’re not losing fat- but in my case, combined with how I was feeling on the diet, I could tell it wasn’t a good thing for me to do. I have spoken with others however in better health who have managed to exercise on the protocol and feel good and continue to lose weight normally. But if you don’t do well with exercise on the protocol, you could find it affecting your weight loss. If nothing else, it wouldn’t hurt too much to take a few days or even a whole week off just to compare right? 4. Have You Gone #2 Lately? I’m just laying it all out there. hCG is no time to get prudish! :)- A build up of poo = a little extra “weight” inside you for a few days. For reason #5, which is actually the #1 reason check out: The Most Likely Reason for stalls or not losing weight while on hCG….. I have a question regarding stalls but for a different reason. This is the second time I’ve tried HCG. First time I did HCG was with a weight loss doc. This time through your links 🙂 Both times I have lost weight with injections BUT I can’t seem to get below 135 lbs. Here’s what happens, in the first 11 days, the weight comes off but them I just seem to hover at 135ish for the remainder of the days. The first time I did HCG, I was given the 23 day protocol and was just stuck at 135. I asked the doc to extend me to 40 days and he ordered me additional HCG. Even with the additional 17 days, I stayed at 135. Does this happen to anyone else? Why is this happening? I follow the protocol to the tee. A little back story. I have Hashimoto’s and am in meno. I am on day 11 of HCG Protocol. Personally, I would focus more on non-scale victories at this point and not bother much about the numbers. Maybe your body has those muscles that you wouldn’t want to lose, too. Sorry if that’s all I can help! I’ve been on the VLCD for 12 days and have not had a bowel movement since day 1 of VLCD (day 3 of drops, first day following last load day). I drink 2 cups black coffee every morning and take a colace pill daily (have for years as constipation is an issue if I don’t – even not on the diet). Today I feel awful. I’ve lost 2.4 pounds over the last 5 days. What are acceptable things to try to stimulate a bowel movement while not compromising the diet? Hi there! This is Li-an, Rayzel’s assistant. Nice to meet you! She took 2 every night and it keeps her regular! She did deal with some major constipation, just in regular life, in the past, so this really changed that for her. The other thing she discovered to help with true constipation is high doses of probiotics- She used to take like 5-10 capsules, no joke, but it totally worked. Hello! I am 36. 5’8″ and weigh 186 this morning. I started at 197 9 days ago. Yesterday I weighed 184. I did not cheat yesterday. I ate beef and tomato for lunch and chicken and lettuce for dinner. I have been reading and this doesn’t seem “normal”….any ideas? I accidentally hit the submit button. I forgot to mention that I am 5′ 6″, female :), 52 and my starting weight was 198. I went down to 186.8 and back up to 188. Occassionally celery sticks with cream cheese. Hi- This is my 1st time doing the HCG diet. I am taking the prescription pills and on the 500 calories/day plan. I am on my 5th day, and have not lost any weight. I have not cheated, nor have I gone over the daily calories. I’m having an apple in the morning. A chicken breast and either a cup of riced cauliflower or broccoli or one tomato for lunch. For dinner, a flounder filet and 1/2 cup sauteed spinach. After dinner I have 1 to 2 clementines. I’ve only used lemon juice and herbs on the fish and a little chicken broth to cook the chicken and spinach. Any idea on why I haven’t lost anything yet? My diet pre plan was very high in carbs, could my body just still be in shock from the change in food? Rayzel knows it can be so frustrating. Are there any foods you are having every day on the protocol? If so, it would be worth removing them and changing it up a bit- sometimes people have a sensitivity to a food and it does indeed stall them- weird- cabbage, tomatoes, and beef are common stall causers for some on hCG. She doesn’t know what else to suggest at this point, outside of the idea that perhaps you’re body is kind of resisting a bit now and maybe you need a break. Although Dr. S did describe long 2 week stalls at times when people reached previous set points- not sure if that could possibly be the case there. I have lost another 15 pounds this past round of hcg activator. However now that I started the new pack I have not lost anything, it’s been almost two weeks and I still weigh the same. Should I take a week off from the pills and start again? Any tips? This is the longest I’ve gone doing hcg and not losing weight. I do #2 frequently. Maybe it’s a cause of stress? I’m sorry I’m not sure we have a definite answer for you about this. Have you been doing homeopathic pills with the 500 calorie diet? Rayzel’s concern is that doing the diet without the real prescription hormone, can possibly negatively affect the metabolism because she doesn’t feel the hormone is a placebo, and just like with birth control and other hormone medications, there is no homeopathic substitute for these that would do what the hormone is doing – hormones are just super powerful that way. Rayzel prefers prescription hCG herself, always has. But we respect your choice either way, of course. I’ve been on this diet and have lost nearly 40 pounds. Just recently I switched my birth control and I’ve noticed that I’ve been losing weight so SLOW. 2 pounds every 5 days! I even made sure I followed the diet and not cheat but still it’s slow! Any Tips? Also, in hCG, not all rounds are created equal. Another possible reason of slower weight loss is typically- the leaner you are, the slower it is. You cannot compare the pace of someone losing 50lbs vs 15lbs on hCG. hi im currently on my 4th day on hcg diet, and its my first time but since last friday i haven’t lose any pounds. what to do?? could it be that the hcg drop that i bought is fake???? Sorry, I know it’s late. There’s so many variations to the protocol these days, we like to ask which specific one you are following – is it the 500 calorie protocol? or the 800 one? I’m on my first weigh, second day of the 500 calorie days. After my load days I weighed 142.5 this am when weighing I’m 141. In sticking strickly to the diet. No lotions, makeup nothing. Can you suggest why I didn’t lose more weight? I’ve done this diet two other times and usually on the first day of weigh I lost 2-3 pounds. 1st I want to thank you for your time and effort. I’m 63 yrs.old. I’m in my 15th day of phase 2. 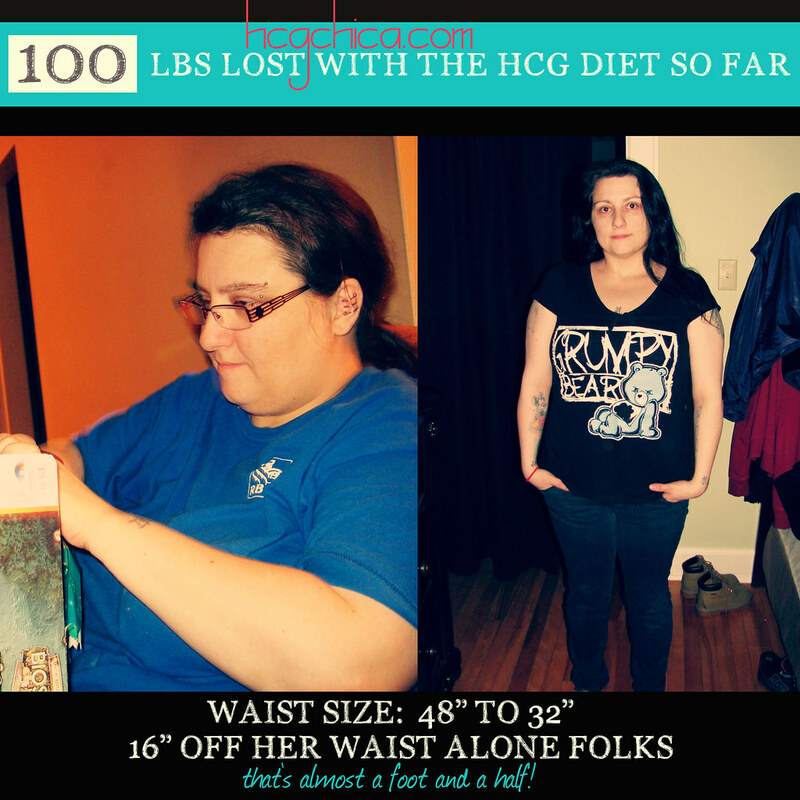 I started the HCG diet weighing 139lb. (I’m 5’4) I weighed 146 lb. after the load. (it was wonderful) ! My sister-in-law who is super skinny ,but had back, and stomach fat lost over 12 lbs and close to ALL her belly fat ! So I decided to go with the cream instead of the shots. My problem is I’m very tired , and kinda hungry all the time. I lost 15lbs and 15 inches in 2 weeks. I know this is great , but I really can’t see it so much in my clothes . I’m now at a stall for 4 days (even went up a lb. one day ,but lost it the next. I was very disappointed to lose only 3 inches this week. I’m very strick on my diet . I have watched many of your videos to keep me pumped. My clinic doctor says I might not lose anymore weight or inches. My goal weight is 125lb. And I’m 131lb. right now. I was on the Keto diet before this. I never really lost on it because I ate too much of the allowed foods. But maintained. I DO NOT EAT THE BREAD &APPLES ,THEY TRIGGER HUNGER IN ME. I have been taking vitamin D3 ,and amino acids, and magnesium , because I was so tired.Could this be a problem? I feel you are more knowledgeable than my doctor. Thank you , didn’t mean to rattle on. Sorry we don’t have much info on the hCG cream. Rayzel only used the injections so she can be sure of the dosing. It sounds like you either need to end your round or increase your calories. At your level of leanness, there will likely be no dosage that will keep hunger at bay on the 500 calories. HCG works by stimulating Leptin levels which makes you feel full/satiated, and it has been found that HCG can’t really do this well in leaner people that have little fat stores left. So the solution in that case is you often have to simply eat more calories – more like 700-800 as needed, using your hunger as your guide – likely being on the lowest dosage of 125ius, and if that doesn’t feel right, I think your body is probably telling you it’s time to stop at least for now. Adding a third protein and more veggies will likely help with this. That’s pretty much what my doctor said, but it’s nice to get a second opinion. Was hoping for a little more weight loss and mostly inches. After losing 15lbs . I was thinking my jeans would be a lot looser. But I saw very little change. One other thing, when I go on maintenance(p 3) can I do the Keto. Diet? Its so easy for me. Would doing a lot of scrubbing on kitchen floors be considered exercise? For some reason I didn’t loose yesterday. I stayed under 500 calories and didn’t eat my fruit or breadstick. I did have 3 pieces of pirates booty at bedtime, would that have been the culprit? ???? With regards to your not losing weight yesterday, if you are following the diet and things have been going pretty well overall so far until this one day – I wouldn’t worry too much about it to be honest. The average weight loss women experience on this diet ends up being about a 1/2 lb a day – and if you think about it, this makes sense. To lose 1 lb of fat every day, your body would have to burn 4000 calories a day (3500 calories per pound of fat, plus the 500 calories you are eating on the diet). Anyway, I hope that helps give you some perspective. Please keep in mind this does not translate into actually losing 1/2 a lb every single day. Some days you might lose 1.5 lbs, other days ZERO! In the end, it usually averages out to about .30-.65 lbs per day. Why is the HCG diet not working for me anymore?? I have done this several times over the last 5years and the weight just falls off me even when i dont have a whole lot to loose and still wear moisturiser on my face and sometimes even creamy foundation, I have always got to my goal weight in 21days of the protacol. It has ALWAYS been my go to if I have felt like i need to loose some fat. But now…I just dont loose anything on it, I mean not even inches! I am so strict on myself having only what Im allowed including creams etc and it just wont budge anymore! I am now 40yrs old, does that have anything to do with it?? I just dont know what to do anymore!! Im at my wits end and now really scared because I have tried EVERYTHING to loos weight and I just cant, I have never been this big before and now I have cellulite!! I am so sorry you are currently struggling with the diet. Can I ask you a few questions to help troubleshoot? – What’s your current height and weight, and how much weight do you have to lose? – You mentioned that you have done this several times over the last 5 years and the weight just falls off and that now you don’t lose any more weight. Did you gain weight right back or are you just not losing additional weight – or is it the same weight from the past you are trying to re-lose? – How many days/weeks has it been since you last lost weight? I’m sorry I’m not sure we have a definite answer for you about this to be honest. Have you been doing homeopathic drops with the 500 calorie diet? If so, how many rounds of this have you done in the past 5 years? Rayzel’s concern is that doing the diet without the real prescription hormone, can possibly negatively effect the metabolism because she doesn’t feel the hormone is a placebo, and just like with birth control and other hormone medications, there is no homeopathic substitute for these that would do what the hormone is doing – hormones are just super powerful that way – so her concern would be doing this diet over and over without that – she wonders if this may be catching up a little bit with your metabolism possibly? We can’t be sure. Once that is addressed, future rounds with the real hormone may go much better. Does a moderately strong dose of antibiotics stop you from losing weight on the HCG diet? Sure does help and explain a lot. Thanks ???? Your son is truly adorable and beautiful. Thank you for all this info. I started the hcg before and failed because I did not understand the process. I finally do. Ready to start completely informed. I have bought the cookbook suggested, your workbook and I’m currently getting prepared by buying some of the products you suggest ..seasonings, sauces, stevia and some off protocol items such as miracle noodles. I like variety in my food and I know that if I don’t have it I wont last. I will be starting in about 2-3 weeks. This time I’m not rushing into things. Taking my time for success. Thank you for taking the time to do all this video and write all this info. Reading about your experience helps me a lot its like reading my diary. health issues, sugar addiction and a love hate relationship with food…you name it I have it. I’ve never had problems with my weight until a few years ago. As much as I tried I could not lose the weight I gave up and gained an addition 40 pounds in no time. I don’t feel like myself any longer…. You’ve given me hope… I can be me again. I’ll keep you posted. Hi- I’m on day 30 and haven’t lost a single pound in 2 weeks! My pants aren’t fitting any loser, and with a handheld bmi indicator that hasn’t changed a bit either. I started at 164, put on 4 lbs with fat loading and then have been stuck at 150 for two weeks now. Total pounds lost is 14. I’ll fluctuate up to 151/152 but never go below 150. I’ve followed the diet to a T, no cheating, drinks tons of water, occasional light walking but have been very fatigued so exercise is not an option for me. I’m not hungry in any way. While 14lbs would average to 0.5 loss per day overall, I feel like something is wrong with my body to not lose any weight for two weeks with such a restricted diet. Not on any other medications, reasonably healthy, tried apple and steak days, nothing seems to work. Help! is it possible that I gained weight by being on my period? Yes, that’s very possible. It might be water retention. I’ve been on the plan since 4.2 (500 calorie portion). I’ve lost ( pounds but nothing for 4 days. I don’t know what I’m doing wrong. I’m on .20 of the HCG as suggested. Now what? I’m discouraged, . Hi Kim, I am in the same situation. I am in Day 19 and at 170.2 lbs I started at 175.7 and after loading 180.7. I have to admit I have been very inconsist with the diet by switching from 500 to 800 calories per day because everyone says something different. I m going stop after 23 days and start again. So I started R1P2 16 days ago. To date I have only lost 2lbs!! I work out every day, stick to a 600 calorie diet with injections following a doctors protocol. I have lost 14 inches and a pant size but the scale isnt moving at all. Is this normal? I am 5’7 148 right now- down about 11lbs from the start of phase 1 to now. Do you think this is ok or is something off? I have also had TOM every day since the first injection. Hey Summer – wow I think in this case you need to be looking at your inch loss and pants size decreasing. That is a big deal. It sounds like you don’t have to much weight to lose which could in part explains the slower loss showing on the scale, but again your inch loss seems to show something majorly good is going on. Thanks so much. I just felt pretty discouraged until the measurements. I am not yet half way through so maybe more will fall off. Im sure all the weight training and cardio I do is causing muscle gains, but fat is falling off. That’s actually the best of both worlds @Summer keep it up! Hi Hcg chica, I am on my 4th day of the 2nd phase of the HCG diet and I have gained 4.2 pounds. I am a pescatarian so I dont eat any meat and only have seafood. I started off my weight at 148 lbs and now weigh 152.4 lbs. I’m struggling to understand what the cause of that was since I have not cheated and have made sure I’ve been eating 500 or less calories a day. I follow the protocols and make sure I follow them. I even went ahead and bought lotion, toothpaste and shampoo/body wash products to avoid any oil and even started wearing powdered make up with the exception of virgin coconut oil for hair and skin that was under the approved list of HCG products. I even check to make sure that non of my seasoning have any sugar in them and oils. During the first two days of the HCG diet I gorged like I was suppose to. I didn’t eat a whole lot but I made sure that they were fatty foods. Since I started phase 2 I have been drinking more water, seasoning all my food and not using an oil/fats and not cheated once. I weigh all my proteins and alternate my veggies, proteins and fruits. I don’t snack in between and I drink a lot of green tea and water. I wonder if its my water weight but I would think after 4 days of eating 500 calories or less and drinking a lot of water I would have lost at least a pound or more a day but I havent. I have a very muscular body and am 5’4 and should weigh 125-130 lbs. I want to lose the weight but somehow I’m just gaining more. I don’t have any thyroid problems or any health problems. I have been using a lot of salt in all my foods and following the recipes given on the HCG diet guide. I know it looks like I dont have much weight to lose but I was hoping this diet would still work for me but I really don’t know if this diet is working for me. I have the pill form of HCG and wonder maybe if its a dosage error because I still get hungry and crave carbs but I still stay away. Please help! For the past 4 days I have been alternating between tilapia, shrimp and crab meat. Asparagus, spinach, onion and tomatoes. I also don’t mix vegetables and the only times I made a mistake was when I used garlic flakes (with garlic oil in them) and used vegetable broth boullione that had oil in it too but I only had a couple sips before I threw it away and realized it had oil in it. I’ve also been eating an apple a day and never more than 1 apple a day, sometimes 1 apple and 5 strawberries during my fruit intakes. I also only use stevia and my key has been just using a lot of seasoning with no sugars or some with no calories in them. I also don’t do much activity because I know that that would tire me out. Please help me understand what my body is doing! Hello – What are your thoughts on adjusting the diet plan in P2? For instance, cutting fruits and adding a (hcg compatible) protein shake in the morning? The shake has 120 calories, 4g carbs, 2g fat, 21g protein and 2g sugar. Does the shift in routine have an adverse impact of weight loss? Hi. Week 1 day 6 and I am back down to my preload starting weight. I gained 3 pounds loading and have not cheated. This is my 3rd round in 18 months and the first time that I am really not losing. Any suggestions? Hi. I just started HCG drops for the first time about 2 weeks ago. I started Loading Day 1 on September 22, did Loading Day 2 on September 23, and started Phase 2 on September 24. So that means I’ve actually been on the low calorie part for 10 days. I’ve lost 9 pounds total, but I’ve been stuck for about 3 days. I was really excited at first become I was showing a loss every day, but I’m getting discouraged since there is no change in the scale. I think it has a lot to do with what I’m eating though, because I don’t totally understand what I can eat. I’m confused about what I’m allowed to have and when I should have it. I am pretty busy and don’t cook much, so foods that I can grab and go, or foods that don’t take much preparation work best for me. However, I just don’t know what I can have. When I looked at Dr. Lipman’s book showing examples of breakfast, lunch, and supper, the options even confused me. My food one day was: breakfast- hard boiled egg, low fat string cheese, and an apple; lunch-2 oz of turkey breast on flat out wrap with mustard, lettuce, and tomato; supper-salad with 3 oz of turkey breast with cucumbers, tomato, onion, and low fat light salad dressing. But still the morning after, I was the same weight as the day before. I would have thought since I was within my calorie limit that the weight would be down at least a little. Do you have any suggestions? I really appreciate you taking the time to read these emails. 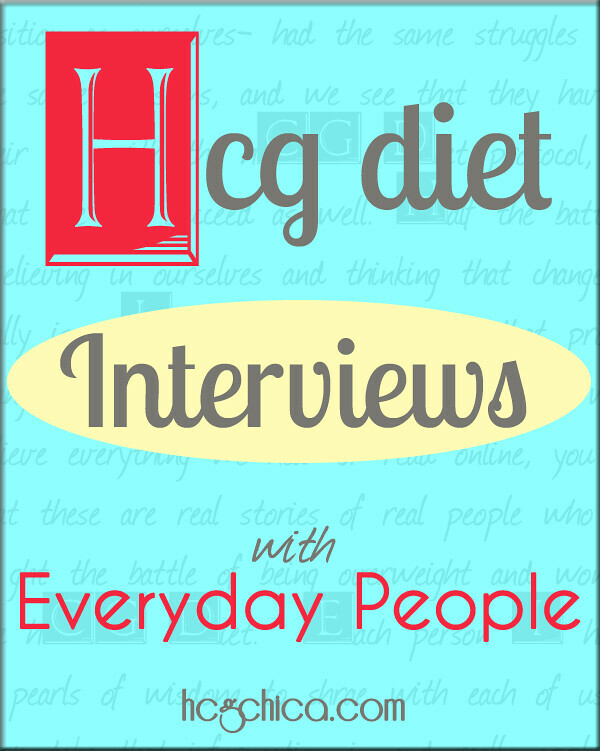 Hi HCG Chica – So glad I found you. I’m desperately searching for answers. I’m on day 11 of the protocol. I’m only down about .5 pound from my original weight. I was walking my dog at a moderate pace for about 40 minutes every morning before HCG, and have done that almost every day during HCG, Could this small amount of moderate walking account for my lack of weight loss? On day seven I gained 1.5 lbs. after including shirataki noodles to my evening meal. (Maybe I can’t have those on Phase I?) On day 11 (today), I gained .5 pound, staying strictly to the HCG original protocol. I was in a car accident, and I had a massage yesterday, but my massage therapist did research on what lotion he could use during the protocol and it was deemed safe. I’m finding hunger is more difficult to deal with in the afternoon, but other than day 8 and 9 it’s been tolerable. I struggle more with feeling weak. I do better spacing out my meals to include protocol size and type snacks because of hypoglycemia. It’s also a possibility that I have Wilson’s Syndrome (thyroid related) but I am taking thyroid medicine during the protocol. I’m also taking my HRT during protocol–but maybe I shouldn’t?? although stopping it could eventually cause me not to sleep well. My doctor is all for HCG, and thought I should keep taking my HRT. I’m trying so hard to have a positive attitude, but I’m almost in tears this morning. I’ve done HCG before–approx six year ago, and lost about 14 lbs. in 30 days, and I’ve taken even more steps this time to make sure cosmetics, etc. are safe. Hey @disqus_Lz8fybQL3i:disqus – Wow I’m so sorry you’re struggling so like that! Can you tell me what day of vlcd your car accident was? How much weight did you gain loading? How much have you lost total, including the loading weight? You are doing hCG injections? What dose are you taking? Why kind of thyroid medicine are you on? How much weight would you say you have to lose total right now? I agree that would be really frustrating. What hormones for your HRT are you on? I do know those can play a role in gaining/losing weight- I do wonder if they are interacting differently for you on hCG. I’ll try to help! Your welcome emily! Thank you for taking the time to let me know you it’s been helpful to you. 🙂 Yes sometimes the grandiose claims made can really get us down- this protocol works great but it’s nice to know what the majority experience. Thank you very much for taking the time to make your videos. The information you impart is very important and much appreciated since I am a newbie and didn’t know what to expect. Your #4 point above was a relief! I thought there was something wrong. I’ve lost .59 pounds per day on average and thought I was doing something wrong since the ads claimed a pound per day. Thank you for letting me know this is exactly how it should work. You’re very well spoken and enjoyable to watch! Awesome breakdown. I’m only on day 3 of R1 and am very hungry through out the day but now here it is 430pm and I’m fine. No hunger just a slight gnawing letting me know it’s almost time for dinner. Not like at lunch where I am sitting watching the clock waiting to eat. Seems I may have a bit too much in my system. Your blog is great, especially for us newbies. Thanks again. Thanks for the comment- yes I think you are probably right- what dose are you on? Let me know if a lower dosage makes you feel better in the mid afternoon. Wanted to ask a dumb question. What does eat to hunger mean? Thank you for pointing me to this blog post – I hadn’t found it on my own yet and it is very informative to some of my questions/concerns for during the VLCD once beginnig on my hcg journey!